Lexi Surunis and Emily Correia were playing volleyball together long before they became Panthers. 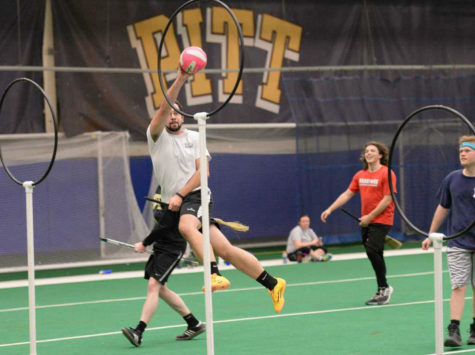 But their partnership appeared destined to end, after a communication miscue following a tryout for Pitt’s club volleyball squad in September. A typo in an email announcing the team’s roster mistakenly omitted Surunis’ number and almost cut the duo’s now decade-long relationship short four years too early. “It almost was super awkward,” Surunis said. But when Correia attended her first practice, she noticed the team was down an outside hitter, Surunis’ position.. Surunis got back on the court with Correia, and fast-forward four years, the seniors are now facing the real end to the 10 years they’ve spent as teammates. 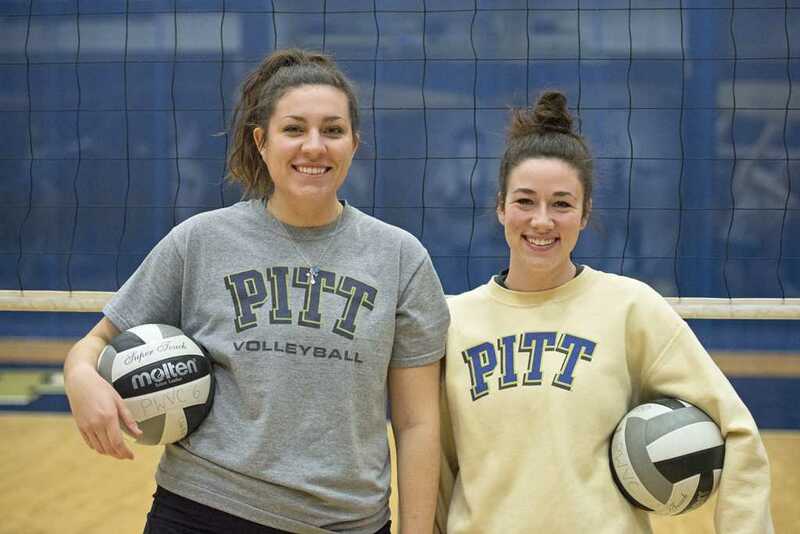 Surunis, a humanities major, and Correia, an anthropology major, first played at Independence Middle School before advancing together to the Bethel Park High School volleyball team. 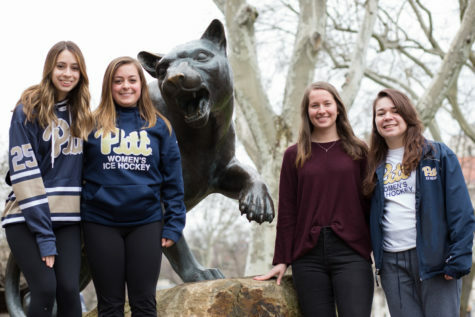 The two seniors are now co-presidents of the Women’s Club Volleyball team at Pitt, a self-funded club that features two 11-player A and B sub-teams. Their friendship has helped them manage responsibilities on and off the court. “It’s easier to communicate [with a friend] — there’s no awkwardness or boundary. If something needs to be done, I can just text her,” Surunis said. But a president’s job is never done. From making travel plans to acquiring the volleyballs for practice, Correia and Surunis said managing these tasks is much easier with a friend beside you. As Correia often works on logistics — booking the practice court and setting up tournaments — she attributes the team’s positive vibes to Surunis’ personality. The two complement each other well, with Correia identifying Surunis as the talker of the two. “[Surunis is] a lot more personable than I am and a lot more outgoing,” Correia said. Led by the duo, the team is coming off a successful tournament last weekend at the UNC Women’s Club Volleyball National Ranking Tournament in Chapel Hill. It beat No. 8 UNC and placed third out of 20 teams. This success is at least partially due to the team being so synced up, according to Surunis and Correia.. Their relationship has set the tone for the rest of the team’s emphasis on amiability. When Surunis and Correia began playing volleyball together in seventh grade, they barely knew each other, but their consistent passion for the sport strengthened their friendship as they transitioned from middle school acquaintances to first-year roommates. Last year, when acting president Vanessa Trombetta approached Surunis with the opportunity to run for club president, she thought she’d be more effective with Corriea as her co-president. 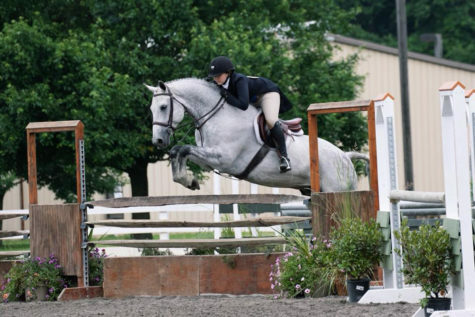 The pair was allowed to run as a duo. Sophomore Danielle Wall said the pair’s leadership has helped the team bond and develop chemistry. “The team this year is much more cohesive. There isn’t a barrier between grades. We’re like one big team. I definitely think that’s changed [from last year],” Wall said. 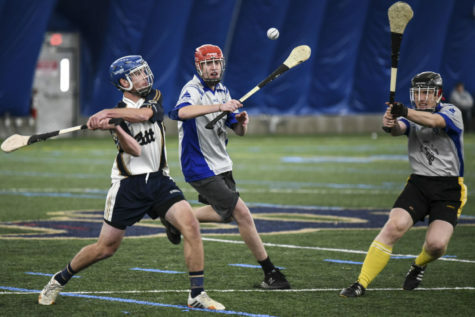 The club practices from four to five hours a week, on Mondays and Wednesdays, but the time that Surunis and Correia spend thinking about the team filters into their everyday lives. While they were watching the Super Bowl with friends, Surunis and Corriea were designing jerseys. No matter where they are, they’re thinking about the club. “We’ll be in South Side and having a conversation about volleyball. It’s sickening,” Correia said. They find it difficult to leave volleyball on the court with a team to organize. “It’ll be like three in the morning and I’ll get a text about volleyball,” Correia said. Surunis and Correia aren’t looking forward to giving up their favorite pastime, and are yearning to find a way to keep manning the net. With graduation looming in the distance, they attempted to find an alternate place to play, scoping out a community center one summer day two years ago. Unfortunately, they were the only people under 50 there. 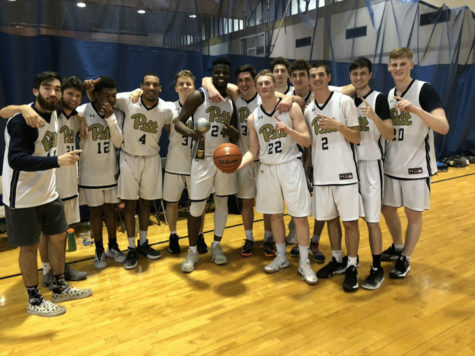 They’ll return to Pitt next year to play in the alumni tournament together, a casual get-together of former players hosted by the team. With her playing career coming to a close, Surunis hopes to coach eventually. “If I can’t play, I want to be on the sidelines. Sometimes even now I get carried away with how much I talk to the team,” Surunis said. If she were to return to Pitt, Surunis wouldn’t be the first player to return in a coaching role. Gabie Barlow, the coach for the A team, graduated in 2012 and played with Surunis and Corriea in her senior season. 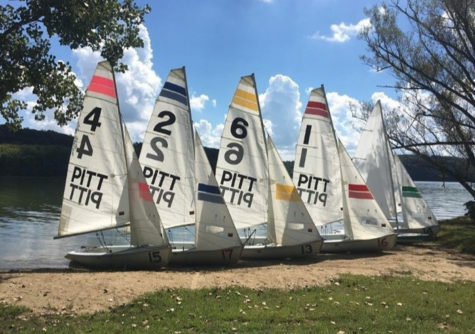 Surunis and Correia’s final goal is to bring the team to Nationals in Louisville, Kentucky. The National Tournament for Collegiate Club Volleyball is the largest collegiate tournament of all club sports, hosting 180 teams last year. 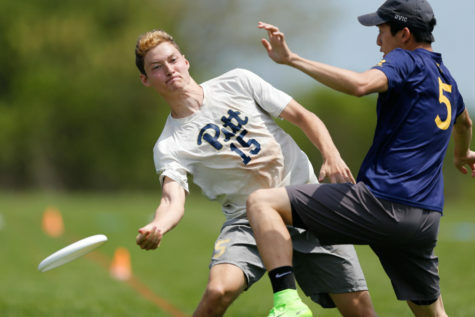 This year, according to the pair, there are 60 more teams than the tournament expected, and Surunis and Corriea are nervously waiting to find out if their team earns a berth. 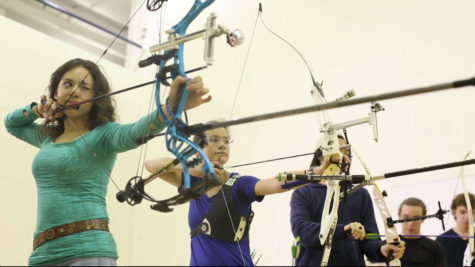 The team will compete at Penn State on March 19. Until then, the duo plans to soak in every last moment on the court.